Tracey has a wealth of HR expertise gained with companies such as Compass Group and Price Waterhouse Cooper. She also was HR Director for the Ambulance Service and likes nothing better than to throw herself into her work. 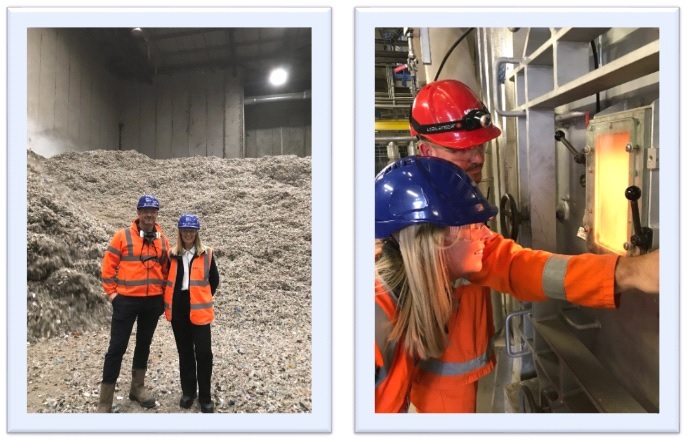 Checking up with her, after her first month has just shown how versatile she is… From the heady days of Hobb suits to Hi-Viz and Safety Boots!, Tracey is out and about learning exactly what the waste management industry is today! The role is more than she had imagined. Her predecessor didn’t foresee much change. However, in Tracey’s words “It’s a Company that has gone transformation crazy…but in a great way” Asked what she thinks of the role so far “Absolutely loving it”.